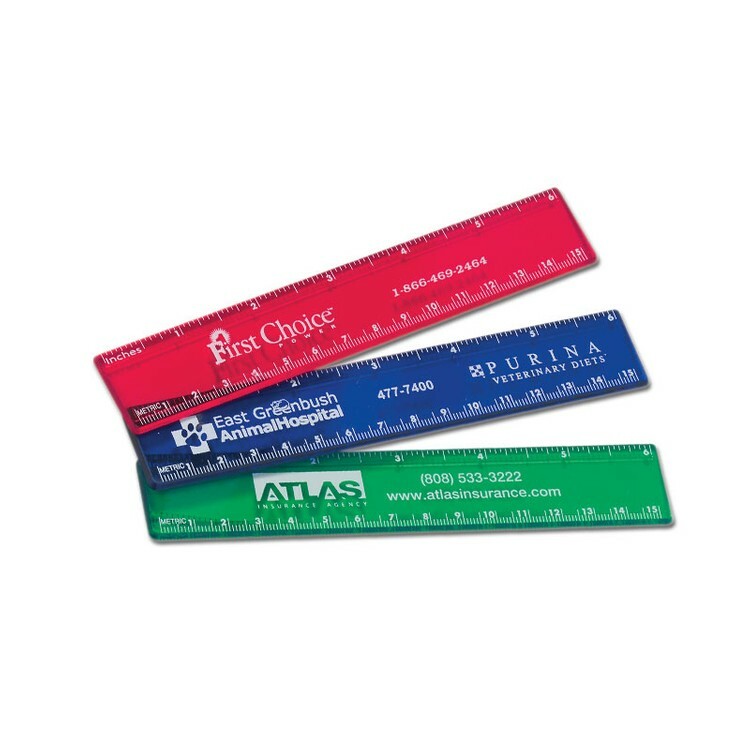 6" Promotional Ruler Price includes one color imprint including standard measures in same color as imprint. - Packaging:10/ Polybag. 6 3/16" x 1 1/8"